Wedding Dress Hangers...The Secret to a Great Wedding Dress Photo! Revealed! The Secret to a Great Wedding Dress Photo…A Beautiful Wedding Dress Hanger! Browsing through wedding photos, it’s easy to get lost in all of the beautiful photographs of gorgeous wedding dresses. There seems to be a common thread in some of my favorites though; whether they be ruffled ballgowns, sleek sheaths, or structured a-lines, the dresses hanging on beautiful hangers appear to have their own wedding-day accessory. Take a look at what a great addition a beautiful hanger makes to your dress photo! Feeling inspired to include a beautiful hanger in your wedding day plans? I love the idea of a family heirloom hanger (Grandma hung her wedding dress on it too? Perfect! ), a personalized memento of your wedding day, or one with beautiful antique detailing. Above: Stunning vintage French brass hangers, available from mamaisonfrancaise on etsy. Above: A sweet “something blue!” The options for personalized wire details abound on Etsy. Photo by La Vie Photography. Above: Wedding photographer and Junebug member Ashley Garmon knows the importance of a beautiful hanger. She is now creating these beauties, available through Heirloom! Above: Darling charms that commemorate your special date! From Wedding Hanger Shop. If you’d like to see more ideas for making your dress photo fantastic, be sure to visit our wedding gown image gallery! such a perfect photos. i like those centerpieces. it looks unique. very creative indeed! I love these hangers! I wish more brides would do this…hint hint! Come one girls you can pass it down to your children and grandchildren. I love heirlooms. 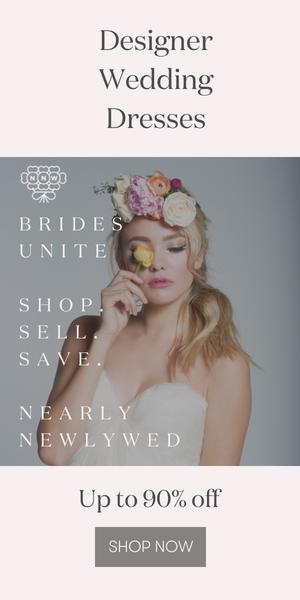 Thank you for enriching our industry with these helpful tips our brides can all use.. :) It’s also something that doesn’t require A LOT of investing.